Perhaps my favorite iced beverage is iced tea. I find it super refreshing and it quenches my thirst. I can get a large iced tea for around a dollar or make a huge pitcher myself for pennies. I like it because I always get unsweetened iced tea so it has zero calories in it. On occasion I sweeten it with stevia. I also like flavored iced teas. In the summer I try to make different flavors like strawberry tea, lemon lime tea, or berry iced tea. When I have flavored iced tea I usually lightly sweeten them because it just tastes better. I like putting fresh fruit in them as well. Did you know that June 10th is National Iced Tea Day? 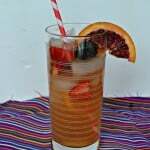 As soon as I heard that I knew I wanted to host an event to share some fun iced tea recipes. Today I’m sharing a recipe for Boozy Iced Tea Lemonade. 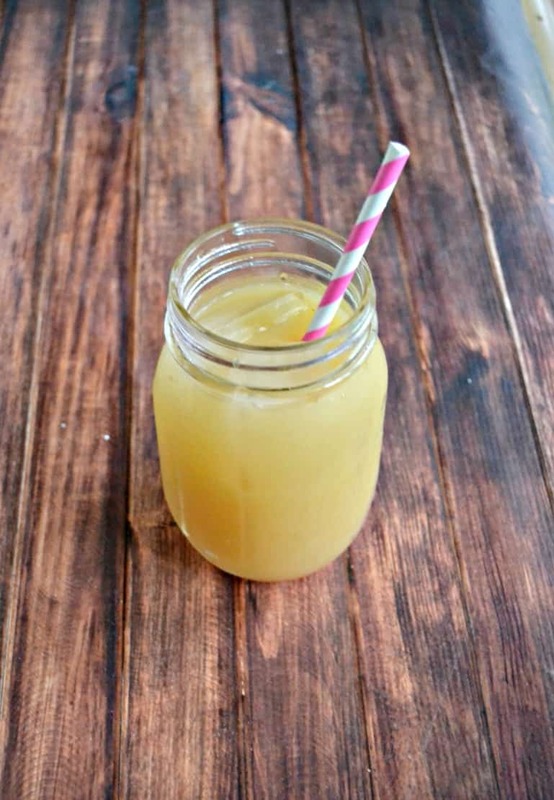 I chose this recipe because my husband loves Iced Tea Lemonade. 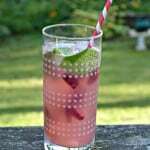 This recipe is great for summer because it’s refreshing but it also packs a bit of a punch from the rum. 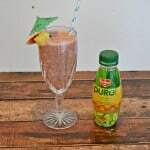 You can use rum or vodka or gin in this recipe. Any of those would work with the flavor of the iced tea lemonade. I chose rum because it’s my favorite and I had a bottle in the house. 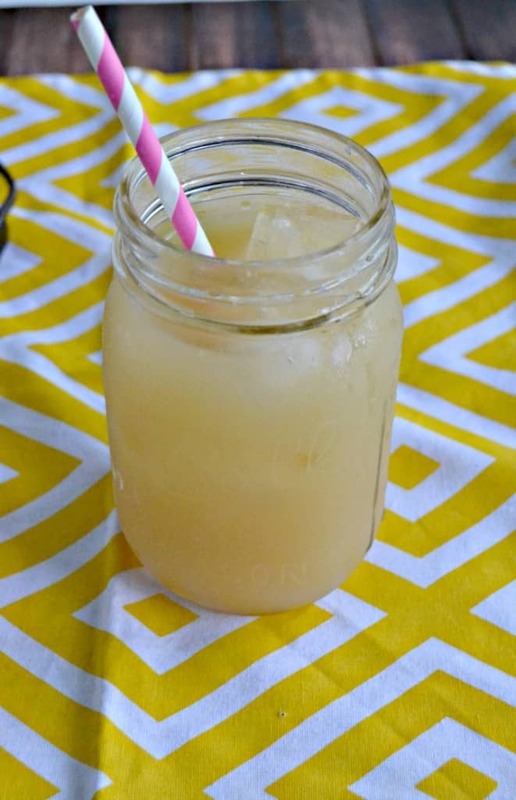 The Boozy Iced Tea Lemonade has an amazing flavor because instead of squeezing the juice from the lemons you actually put the lemons in a food processor and blend them. Then you strain the solids through a sieve and you are left with the freshest tasting lemonade. 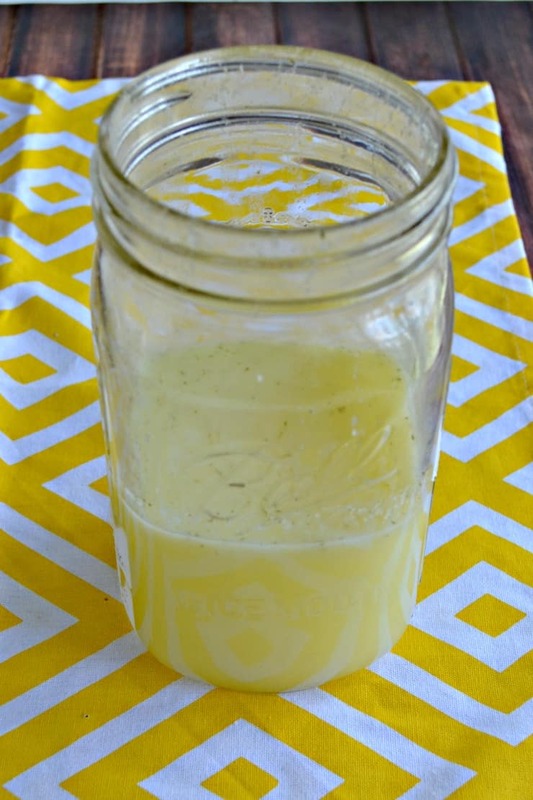 It has both lemon juice and lemon zest in it so it has a lot of zesty flavor. It’s mixed with a bit of sugar to give it a sweet and tart taste. 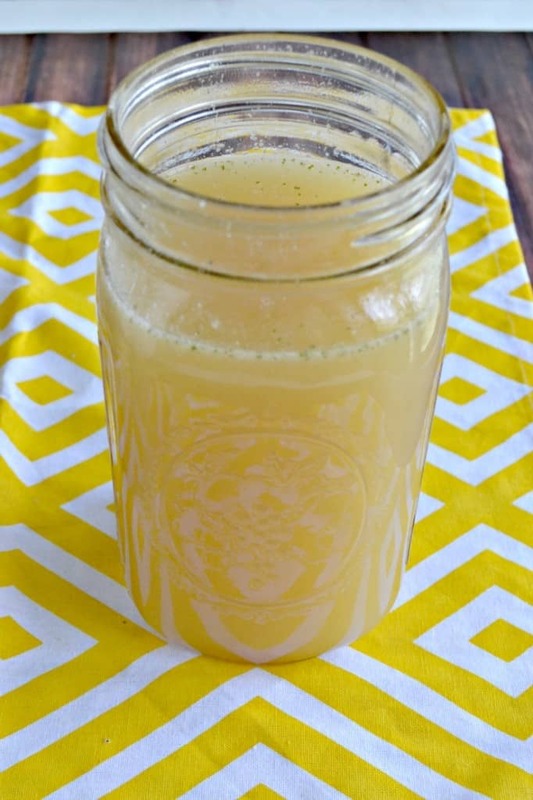 You can make any type of tea to go with the lemonade, just simply add honey to it. I used regular old black tea and it worked out fine. I also added in a bit of fresh mint from my garden to give it a hint of flavor. The resulting beverage is so good and refreshing. It can be a bit dangerous though as it doesn’t taste like there is any alcohol in it so be careful when drinking it! A delicious blend of fresh lemons, black tea, honey, mint, and rum served over ice. In a large bowl steep the tea bags with the boiling water and honey for 10 minutes. Remove the tea bags, mix well, and add enough cold water to make 4 cups. Set aside. Cut the pith from the center of each lemon quarter and remove any seeds. 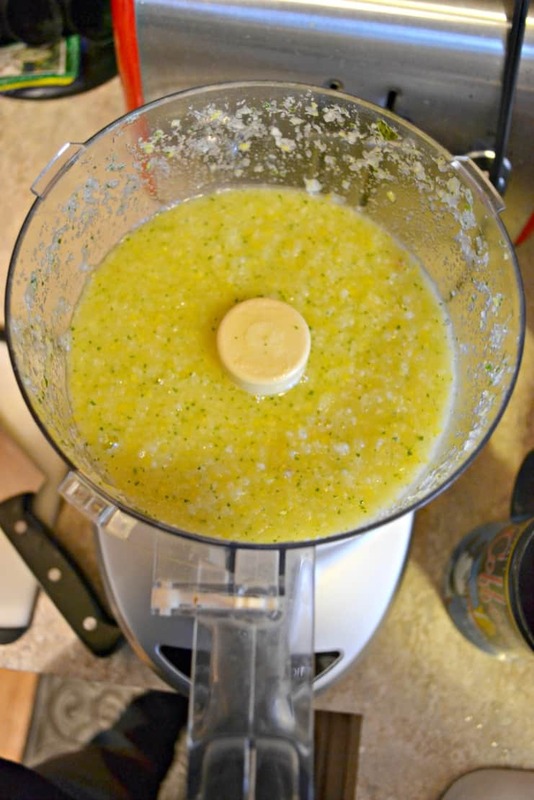 In a food processor combine the lemons (unpeeled), sugar, mint, and rum. Process until smooth, about 2 minutes. Press the lemon mixture through a fine mesh sieve, catching the liquid in a bowl. Add enough cold water to the lemonade to make 4 cups. Combine the lemonade and iced tea in a pitcher and mix well. Refrigerate for at least 2 hours. When ready to serve fill a glass with ice and pour the iced tea lemonade over top of it. Serve with a straw and a lemon wedge. 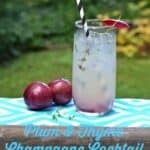 These will be perfect patio beverages! Thanks so much for hosting! I often spike my tea but haven’t made it with lemonade yet and love the idea of pureeing the entire lemon. Thanks for hosting Heather. I love the twist on making lemonade! Thanks for hosting!